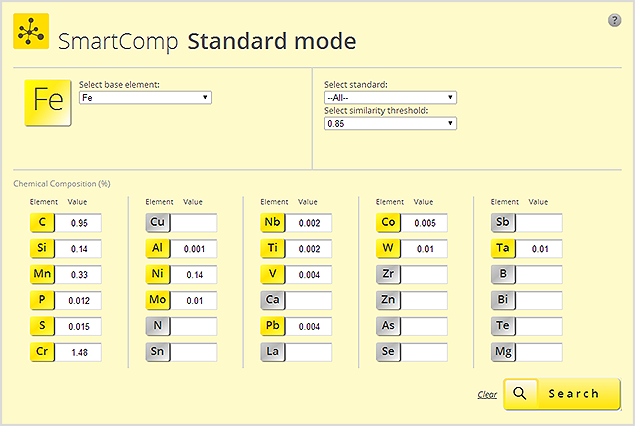 SmartComp is an optional software add-on to Total Materia , based on worldwide unique, patented program for identification of metals, based on their chemical analysis, which is inputted into the program directly, "as received" from the spectrometer or other source. To find a material from the database of over 350,000 alloys takes mere seconds, use SmartComp. You may put a result of analysis as you received it from the measurement instrument, from metallurgical lab or from documentation and click on "Search" button. By using original expert reasoning module and patented SmartMetals technology, based on fuzzy sets and metallurgical expertise, SmartComp distinguishes important composition variations from the noise and trap elements and provides you with a list of possible matches, prioritized by similarity factors. 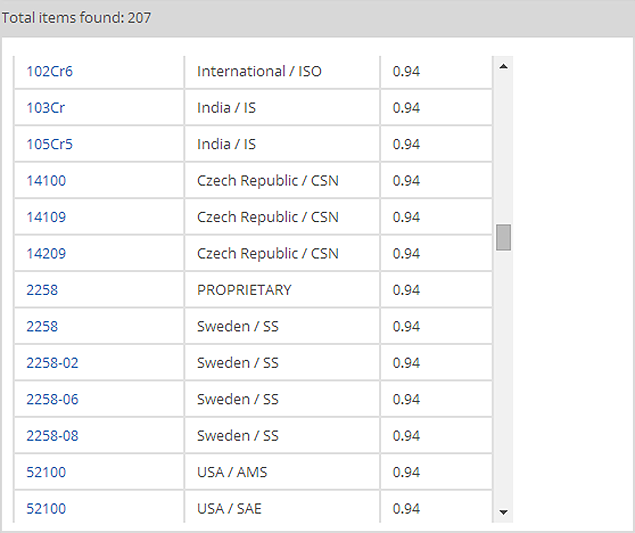 Using the lookup feature and hotlinks to the Total Materia Database you can click alloys from the list to immediately review their variations from the given composition, or go directly to the Total Materia Database to view detailed material properties.